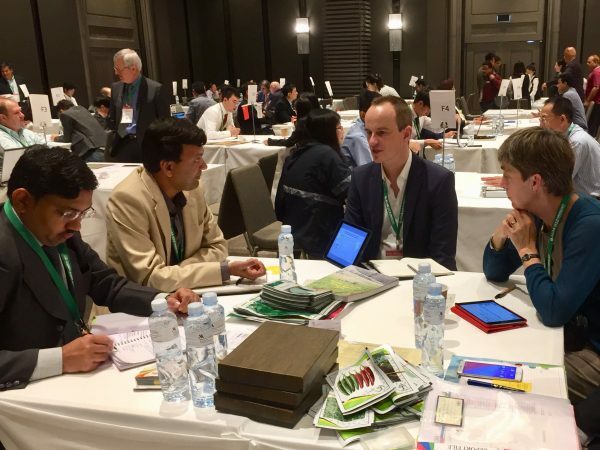 Around 1500 participants attended the annual meeting of the Asia Pacific Seed Association (APSA) in Bangkok from 13 to 17 November. The APSA congress provides great insight into the state of affairs of the seed industry in the region, as well as an excellent opportunity for networking. The Access to Seeds Index team focused its attention on topics such as the influence of climate change on breeding programs, developments around IP and the future of hybrid rice. The team also met with many regional seed companies as well as representatives from USAID and FAO. Regional seed companies were interested to learn about the Index in general and, in particular, about the upcoming Regional Index for South & Southeast Asia. Twenty-four companies have been listed for this regional index, of which sixteen were not included in the first index.